Status conditions are temporary factors that hinder a Pokémon's performance in battle. 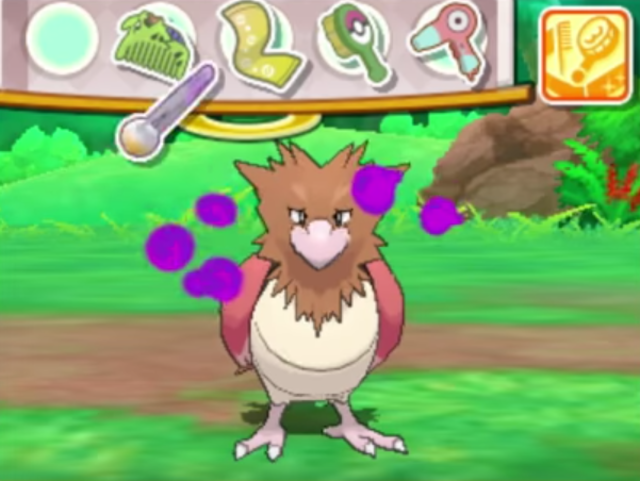 Some of them wear off on their own but there are others that need to be cured with specific items, in Pokémon Refresh, or at the Pokémon Center. Lowers the Pokémon's HP at the end of each turn and halves the power of its physical moves. It does not wear off on its own after the battle ends. It can be cured with either a Burn Heal or a Rawst Berry, or in Pokémon Refresh. Fire-type Pokémon are immune to being burned. Renders the Pokémon unable to perform moves for a number of turns. It will wear off on its own after several turns pass. It can be cured with either an Ice Heal or an Aspear Berry, or in Pokémon Refresh. Ice-type Pokémon are immune to being frozen. Renders the Pokémon unable to perform moves 25% of the time and lowers its Speed. It does not wear off on its own after the battle ends. It can be cured with either a Paralyze Heal or a Cheri Berry, or in Pokémon Refresh. Electric-type Pokémon are immune to being paralyzed. Lowers the Pokémon's HP at the end of each turn. If badly poisoned, the damage will increase each turn. It does not wear off on its own after the battle ends. It can be cured with either an Antidote or a Pecha Berry, or in Pokémon Refresh. Poison- and Steel-type Pokémon are immune to being poisoned. Renders the Pokémon unable to perform moves for a number of turns. It will wear off on its own after several turns pass. It can be cured with either an Awakening or a Chesto Berry, or in Pokémon Refresh. Causes the Pokémon to damage itself 50% of the time instead of performing a move. It will wear off after several turns pass or after the battle ends. It can be cured with a Persim Berry. Renders the Pokémon unable to perform moves 50% of the time. It will wear off after the Pokémon that inflicted the condition faints or is switched out. Genderless Pokémon cannot be infatuated. Prevents the Pokémon from being switched out. It lasts for as long as the Pokémon that inflicted the condition remains on the battlefield. Ghost-type Pokémon are immune to being trapped. Causes the Pokémon to lose one-quarter of its maximum HP at the end of each turn. It will wear off after the inflicted Pokémon is switched out or the battle ends.